Limerick School Project (LSP) is an equality-based, co-educational, child centred, and democratically run primary school in Limerick City under the patronage of Educate Together. The school has over 200 students with over 50 nationalities throughout the school. In Educate Together schools Ethics and the Environment is a strand in the Ethical Curriculum programme; it aims to instil in students the importance of respecting our environment and for them to become responsible environmental citizens. Involvement in the LEAF programme provides very practical means by which theories discussed in the classroom can be put into practise. The school has been involved with the Environmental Education Unit of An Taisce through the Green-Schools programme since 2008.They are currently working towards their fifth Green Flag which is for Biodiversity so Forests and Biodiversity was an obvious choice for their LEAF Theme. 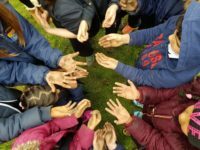 Third class students participated in habitat mapping of the school grounds, bird watching in the People’s Park, bird feeder making and a Forest Based Workshop in Coillte’s Curragh Chase Forest Park. 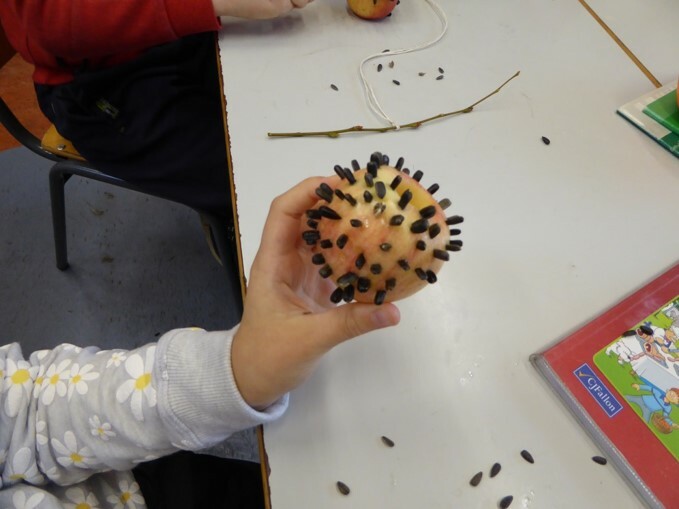 These were fun, hands on, practical, child centred activities designed to encourage interest in nature and observational skills. The school is situated in Limerick City centre, most of the outside area is paved and a lot of the school yard is surrounded by high walls. 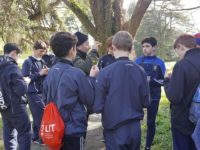 Teachers and students were sceptical of what a habitat study would revel but were delighted when the students discovered and named forty species within the school grounds with the help of LEAF Officer, Seán Hartigan. Their learned how to observe nature closely, many species were found growing on the walls and teachers and students now appreciate the importance of this habitat in the school grounds. 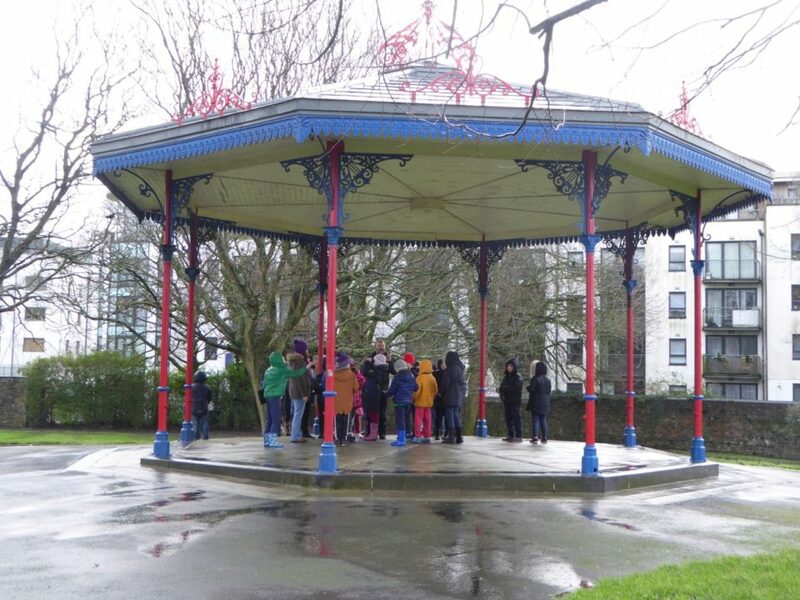 As part of their School Based Workshop the students were taught in the classroom about twelve native birds, they then travelled to a city centre park to look for these species with binoculars. Students and teachers were surprised to find that nearly all the species studied could be closely observed in the park. After the birdwatching activity the students made bird feeders in the classroom. This experience fostered a great interest in birds amongst the class with many students feeding birds at home, observing their habitats and taking photos of birds which, they have brought into school. There was such interest, many students got their parents to buy binoculars and take them birdwatching. Students got to observe birds feeding and to look at the leaves, seeds and fruits of plants which provide food for birds and other animals. In the Curragh Chase Forest Park they were introduced to tree species and learned that they provide food, and shelter for many plant and animal species. As part of the Forest Based Workshop the class went pond dipping, identified producers, consumers and predators and learned about food chains. Simple games like ‘Otter, Salmon, Mosquito’ helped to teach the interconnectivity of all species in a habitat. The students of LSP through the LEAF programme have become more aware of the need to create spaces for wildlife, they are now almost finished the planning stages for a Biodiversity Garden in the school grounds. They hope to create a space where each class will have responsibility for maintaining a section. Involvement in the LEAF programme has made students in LSP more aware of the nature around them. They have learned that we must provide space for nature and that nature will reward us with ecological services and enjoyment, because of this the students are more likely to make environmentally positive decisions in the future.